Our friends at the YWCA Oklahoma City did some fun shopping recently. They picked up lots of new yarn for us to use. It really was perfect timing since our great volunteers had turned most of our previously-donated yarn into cool scarves already. 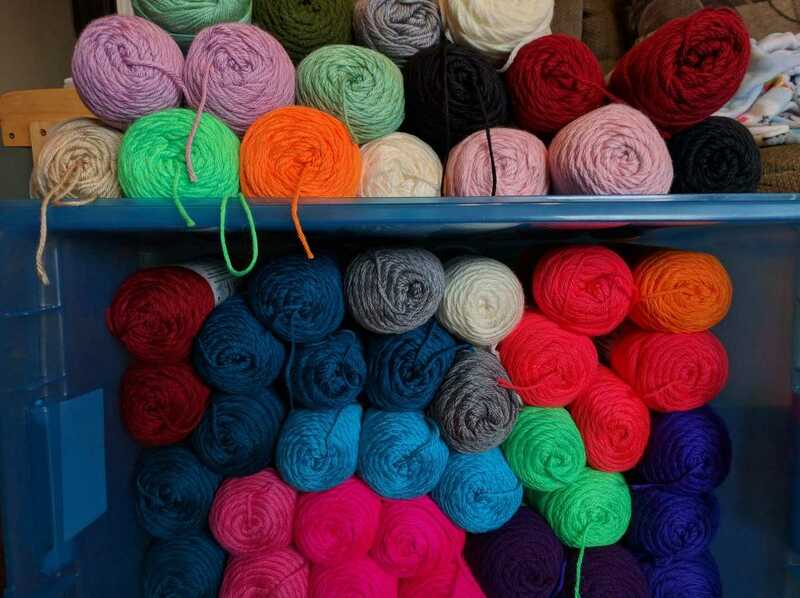 This picture is just a portion of the new yarn we received. Also, besides the shopping trip they collected some from volunteers who had extra to share. And, around the same time, a man contacted us asking if we would like some yarn that had belonged to his mother. So, we are all set with yarn for awhile. Come on to our next work day and pick up a fun color to work with, we’d love to have you join us!